Buying the best USB flash drives for your needs is an essential purchase, no matter how you’re using your hardware, and we’re here to help. In this list of the best USB memory sticks, we look at portable USB flash drives that offer you safe and secure portable storage for your important files. The best USB flash drives don’t just offer you a quick and convenient way to transfer data from one PC to another. 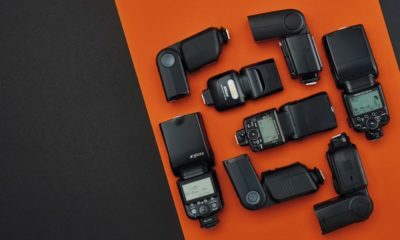 The brilliant memory sticks in this guide are versatile devices that offer plenty of storage space despite their small size. The best USB flash drives are also sturdily built, so they won’t get damaged when you’re carrying them about. The best USB memory sticks and flash drives also need to be dependable, so they don’t fail or break, making your data vanish into thin air. This means the best flash drives feature a strong build design. Speed is also important. Not only does this make moving large files to and from the USB flash drives quicker, but it’s useful if you’re using the USB flash drive for other purposes, such as running a ‘live CD’ operating system from it. To help you choose which USB storage is right for you, we assembled this list of the best USB flash drives you can buy today. If USB drives are either too expensive (for the amount of storage you’re planning to use) or their capacities are just not high enough (or you tend to lose them a lot), feel free to check out our list of the best external hard drives. 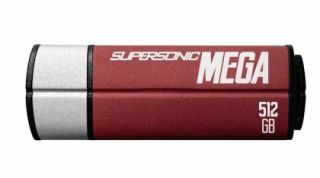 If you want one of the fastest possible USB memory sticks, then the Patriot Supersonic Rage 2 is definitely the one for you. Sure, the price is high, but we were blown away with how fast the device is. If you need to move around large files quickly, then this is definitely worth the price. It also comes with 128GB of storage space, which is a phenomenal amount of storage to carry around in your pocket. Just make sure you don’t lose it! Over the past two years or so, the rise in wholesale transportation costs has made it uneconomical for retailers to sell USB flash drives that were too small, with the cost of postage and packaging actually constituting the biggest portion of the selling price. 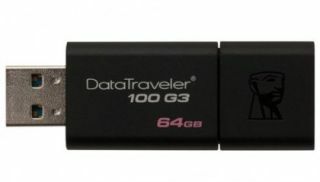 The Kingston Technology DataTraveler 100 Generation 3 is the most affordable 64GB USB 3.0 drive on the market with read/write speeds of 150Mbps and 70Mbps respectively. 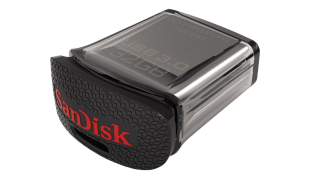 The SanDisk Extreme CZ80 is a brilliantly priced USB drive that offers plenty of storage space and file transfer speeds. Although it’s priced more towards the budget end of USB sticks, the performance is anything but budget – this is a very speedy little performer. The slide-out design of this stick means you can tuck the USB interface into the body when not in use, minimising the risk of it getting damaged while you’re carrying it around. This is the cheapest USB 3.0 drive on the market on a per-GB. It comes with a two-year warranty and a capless/retractable cap design. Worth nothing that Verbatim – a very well known Japanese storage and memory manufacturer – sells it on its website and usually has pretty good deals on the device. Another memory vendor that turned into a player in the USB market as well. which features a capped design as well as read/write speeds of 80Mbps and 20Mbps respectively. These are not super fast speeds and if you want something with more oomph then check out some of the other USB drives in this roundup. A USB 3.1 drive (compatible with USB 3.0 and 2.0) from one of the most established memory players on the market but a relative newcomer to this segment. It has a zinc alloy body with aluminium accent and reaches read/write speeds of 380Mbps and 70Mbps respectively. No slouch and one that comes with a five-year warranty. We’re solidly in premium territory with this model; not only does it offer absurdly high read speeds of up to 450Mbps thanks to Samsung’s own 3D V-NAND technology, it also comes with a three-year warranty and has a USB Type C connector. Note that it is much bigger than a traditional flash drive and costs about five times a spinning hard drive of a similar capacity. 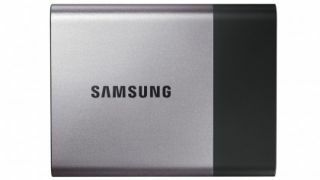 In comparison, a 1TB SSD like the Samsung EVO 850 costs just £240. It comes with V-NAND based like the Samsung Portable T1 and it does boast speeds of 530Mbps and 520Mbps in read/write mode respectively. Note that you will need to get a separate enclosure to get it to work with a standard USB port. 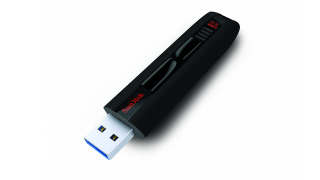 If you don’t want a USB stick jutting out of your laptop or tablet while you use it, then a low profile USB stick is a good choice, and the SanDisk Ultra Fit CZ43 is an excellent choice. It’s small and light enough to easy carry around, and when it’s plugged into your laptop it doesn’t stick out much from the body. It’s also very cheap, at around £10 for the 32GB version, with 64GB and 128GB versions also available. It’s not quite as fast as many of the other USB memory sticks we mention here, but if you want a small form factor USB stick, it’s worth the trade-off. 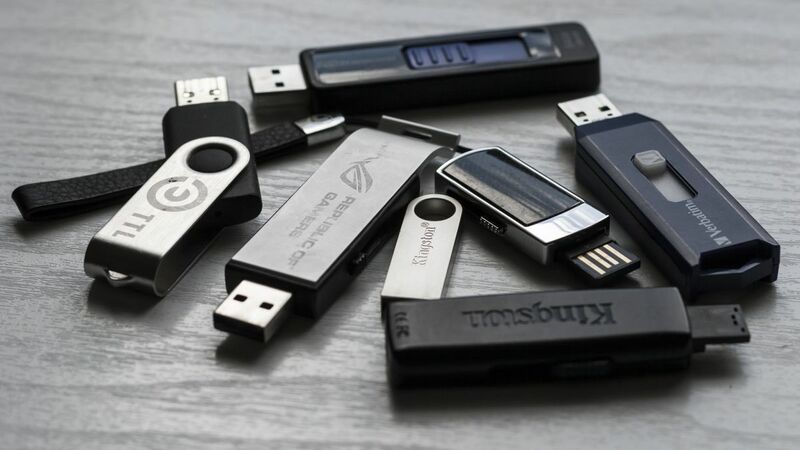 How to choose your USB memory sticks? It’s not worth looking for memory sticks with capacities smaller than 64GB simply because the price premium you pay for twice or four times the storage is tiny. Make sure you include delivery price when doing the numbers as quite often you end up paying more for the postage than the drive itself, particularly for low cost models. 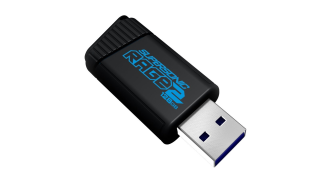 USB 2.0 is sufficient for smaller capacities but not for bigger ones where write speeds can be sluggish. 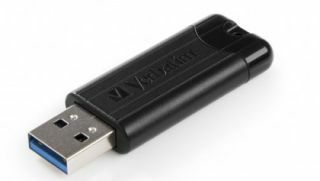 Larger flash drives (128GB or more) often come only with a USB 3.0 connector. 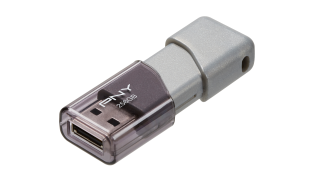 If you plan to move files to and from portable devices (tablets or smartphones), consider a memory stick with a microUSB connector and a full size USB one. Avoid buying your memory sticks from vendors with few feedbacks on auction websites as these drives might turn out to be fake. All the vendors listed below are tried and trusted ones. Above 128GB, you might want to consider a SSD if you want ruggedness, portability, versatility and better performance without the cost. Note that all the capacities are likely to be much less than stated when they are formatted and when mounted on an operating system.